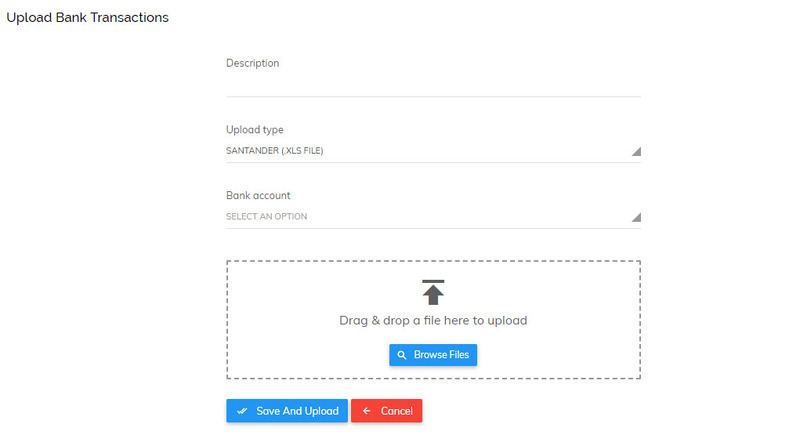 If you are not using automatic bank feeds as a Pro user, you can use file imports instead. This saves time typing out manual information such as the date, description and amount. File imports also greatly reduces the risk of human error compared with entering transactions manually. Pandle has default formats for the main banks including; Barlcays, Natwest, HSBC, Royal Bank of Scotland, Lloyds and Santander. If you use a different bank or institution, then you can create a custom file import format which you can use each time you import transactions. How do I use file imports if I use a default bank? To enter new transactions using our File Import method you will first need to download your bank transactions (your statements) from your bank account (usually in CSV or OFX format) and import this data into Pandle. Then click the ‘Enter Transactions’ button for bank account you wish to enter transactions for. Alternatively you can also enter new bank transactions using the File Import method by clicking the Quick Links menu and then selecting the account you wish to enter transactions for. After this you will be asked to enter a few details and to upload your file (downloaded from your online banking). Please enter a description (it's a good idea to specify the period the file is for here), default bank, the bank it relates to in Pandle and attach the file by searching or dragging and dropping it on screen. Once this is complete you will be able to check and confirm the transactions you have imported. *Please note if a customer has over paid you, i.e. paid more than the amount you invoiced them, you can allocate this to their account using our Overpayments feature. This over payment would then be saved on their account for the next time an invoice is sent out where it will be automatically deducted from their next invoice. The Overpayments feature works in exactly the same way if you have overpaid one of your suppliers. 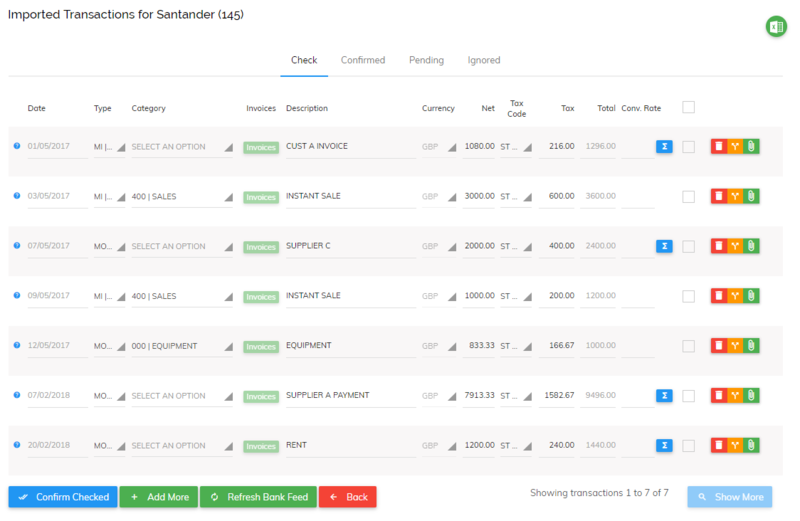 First select Supplier Payment as your transaction type, choose your supplier and select the invoice you have overpaid. Then enter the Payment Total followed by the Overpayment total. Category: If the transaction is a customer receipt or supplier payment, this option allows you to select the customer/supplier it relates to. 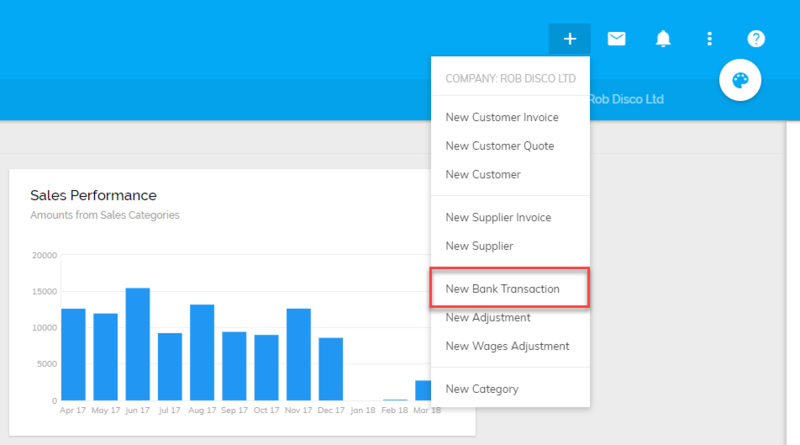 You will then be able to select the invoice the amount relates to. Once the invoice is selected, you can move on to the next transaction. You do not need to separate the VAT amount for customer receipts and supplier payments as this has already been done at the invoice level. If the transaction is just a money in or money out of your account, you can select the appropriate category for the transaction. For example, all money spent on delivering an item to a customer would go under 'Postage'. For more information on how to create a custom file import please click here.